Meandering travelers or anyone, who issearching for comfortable accommodation in the enchanting city of Indore, canplan their stay at Hotel Malwa Country. The property isclose to the major travel hubs. The railway station is 5 km away. This propertyhas a placid aura, with a zany touch and is one of the famous hotels in Indore.It accommodates 12 large rooms which are equipped with good amenities like atelevision and a make-up mirror. Hotel MalwaCountry offersequally good hotel facilities. A front desk is present in the property to helpthe patrons with their queries. Efficient room service is provided to all. In case, one succumbs to injuries or isnt in the pinkof his health, medical services are provided. Decent and affordable hotel located right next to Gangwal bus stand. The reception is located on the first floor of the building. Stayed here for catching the early morning bus to Dhar and onward to Mandu. nice hotel located near gangwal bus stand and located on main road. rooms are qute decent and provide basic facilities like tv, geyser and ac rooms are available if wanted. booking online would be cheaper affair rather than booking directly in person. 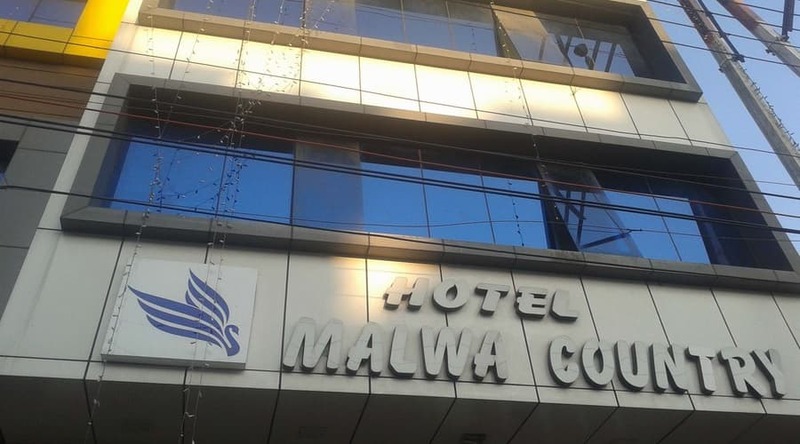 Hotel Malwa Country is located near Gangwal Bus stand which is popular location from Indore. Actually it is very budgeted hotel for family. Hotel is having very good restaurant. Room are clean and maintained properly. Hotel Manager as well as staff is very attentive and co operative. Free wifi is available for customers.